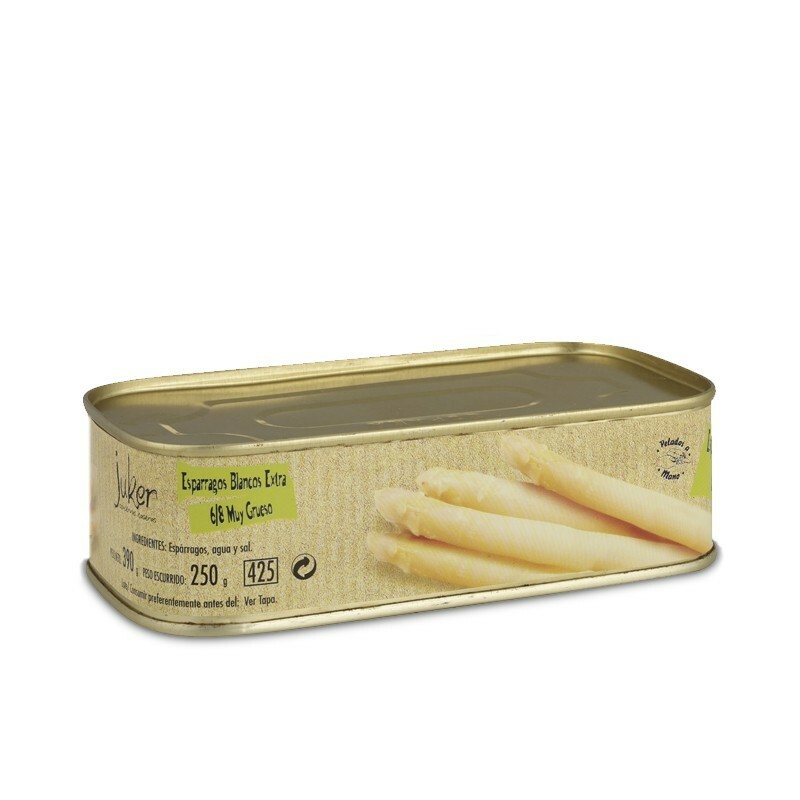 Top quality, extra-large white asparagus of 6-8 pieces with very thick stalks. Top quality white asparagus containing 6-8 very thick-stalked shoots, carefully peeled by hand, picked straight from the garden and produced exclusively with water and salt. Considered the ambassadors of Navarra and its surrounding provinces, they are easily recognizable for their white colour and soft texture, with little to no fibres, and exquisite flavour. A fashionable product despite having a very old origin, as is depicted in some Egyptian paintings dated back to 3.000 A.D., where the first traces of the existence of this fruit have been found. However, it is during the period of the Roman Empire when the first mention of them is found in writings by some authors, such as Plinio.